This place is civilised and tidy. and i dont get the last part. 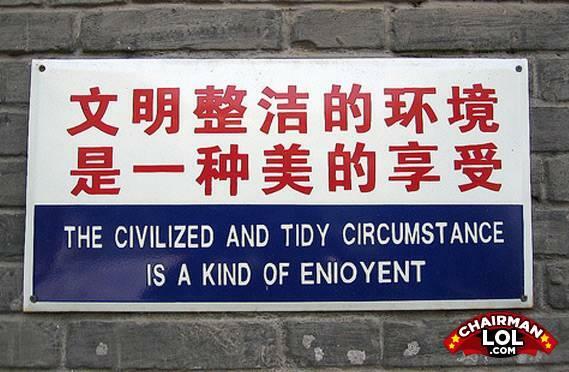 I swear, the Chinese government must think their people are a mass of filthy, ignorant savages. What's wrong with a simple "No Littlering" sign?